Brush aluminum is a process of repeatedly scraping aluminum sheet plates out of the line with sandpaper. The production process is mainly divided into three parts: de-esterification, sanding machine and water washing. Brushed aluminum is widely used in brushed aluminum composite panels, fireproof panels, aluminum photo frames, boutique cabinets, boutique doors and windows, veneers, signs, lighting, interior and exterior decoration, household appliances, luggage, gifts, furniture, consumer electronics, etc. 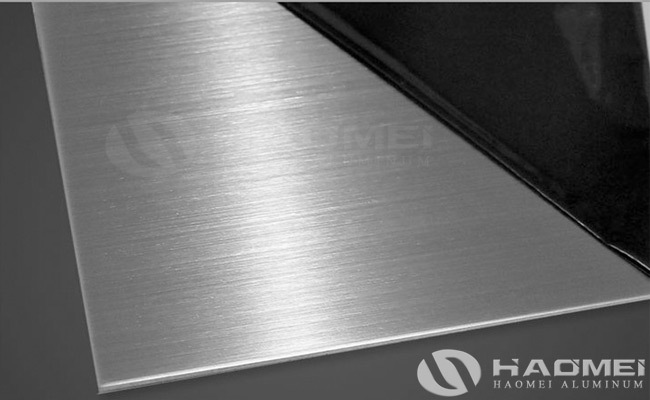 According to the brushed pattern, brushed aluminum sheets are mainly divided into straight wire brushing, chaotic brushing, corrugated brushing, rotary brushing, thread brushing, etc. The straight wire brushing is the common seen brushing method of aluminum brushed sheets, here let us see how to brush aluminum for processing brushed surface with straight wire. The linear pattern is processed by mechanical friction on the surface of the aluminum plate, which has the dual function of brushing the surface and scratching the surface of the aluminum plate. Straight line drawing has continuous brushing and intermittent brushing, the continuous brushing can be obtained by continuous horizontal wire friction on the metal surface with a scouring pad or a stainless steel brush. Change the diameter of the stainless steel wire to obtain different thickness lines. The brushed aluminum sheets with straight line brushing is a quite popular decorative panels material currently.